Blue . Collection preview . Featured . Green . Nail Polish . OPI . Orange . Pink . Purple . Spring . Summer . Turquoise . Hello, sweeties! How are you today? 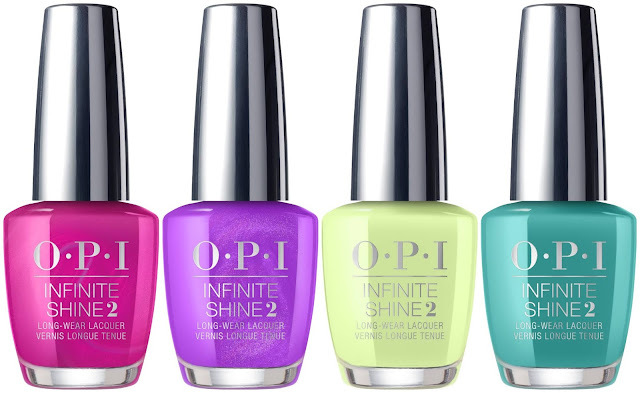 I'm super excited because I have super good news for all the nail polish lovers! 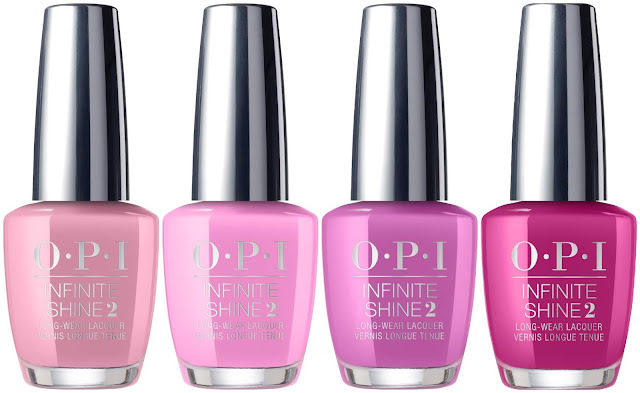 OPI will soon be launching the Tokyo Collection for Spring / Summer 2019 in Switzerland!! The colours are sooooo pretty! Take a look at this preview. See the swatches and review here. Experience the Energy of Color with OPI! "Discover the vibrant, trendsetting city of Tokyo with the Tokyo Collection by OPI. Inspired by the city’s balance of rich tradition and nature with fashion-forward style and ultra-modern cityscapes, this palette features a variety of colors that evoke the energy and creativity of Tokyo." "The Tokyo Collection features 12 new shades in classic Nail Lacquer, Long-Wear Infinite Shine and GelColor formulas. With a nod to Tokyo’s status as a trendsetter, the collection includes a new take on millennial pink with dusty rose shades featuring tones of lavender and lilac (Rice Rice Baby, Another Ramen-tic Evening, Arigato from Tokyo, Hurry-juku Get this Color!). Rich hues inspired by nature from matcha green tea to blooming gardens (How Does Your Zen Garden Grow?, I’m On a Sushi Roll, Suzi-san Climbs Fuji-san, Tempura-ture is Rising!) 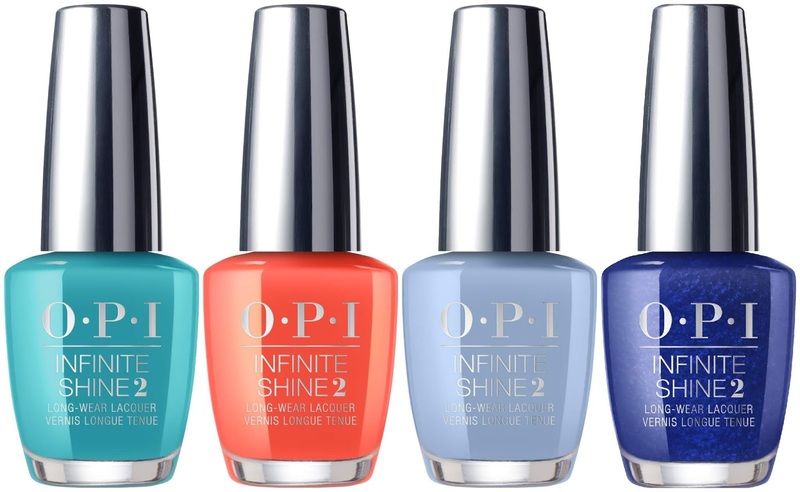 and vibrant purple and blue hues with metallic shimmer that capture the city’s electric energy and nightlife (All Your Dreams in Vending Machines, Samurai Breaks a Nail, Kanpai OPI!, Chopstix and Stones) round out the collection." “Tokyo is known for being on the forefront of nail trends - a perfect fit for OPI, where we don’t follow the trends but set them,” declares OPI co-founder and brand ambassador, Suzi Weiss-Fischmann. “In this collection, we are revisiting the 80s and 90s, with pop colors that we’ve given a modern twist, taking inspiration from the famous Harajuku neighborhood. Tokyo brings so much life to this collection, from its eclectic fashion, vibrant nightlife and world-renowned cuisine to the rich traditions including matcha tea ceremonies and zen gardens." Enjoy a kiss of dusty rose with your favorite bowl and beau. Thank you from the bottom of our OPI hearts. An electric pink that delivers instant glamification. Now and then you gotta go Zen with this luscious lime green. Mt. Fuji is calling, so fill your backpack with this new essential emerald. Get out of the heat and into a salon to experience this cool new orange! Periwinkle Blue and Grey team up to make your day. Cheers! ...may break my bones but this shade will never hurt me! Sets of four mini polishes will be available from 24.90 CHF as well! What do you think of this collection? I'm loving the soft pinks, my favourite is Samurai breaks a nail, and I love that there is a lime green and both blueish greens!! I can't wait to try them all. Which one appeals to you more?